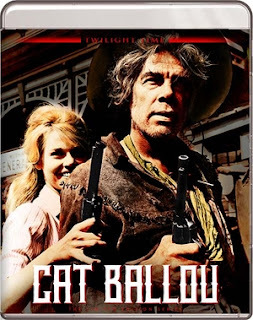 Elliot Silverstein's delightfully silly western parody also has the distinction of being a classic western in its own right. There's Cat Ballou (Jane Fonda), a timid schoolteacher-turned-outlaw who hires a legendary gunslinger (Lee Marvin, in an Oscar-winning performance) to help her avenge her dead father. The gunslinger, naturally, turns out to be a tired old drunk, but that doesn't stop them from forming a crack shot gang that goes head to head with a corrupt local government. Billed as a "real western," Delmer Daves' Cowboy set out to paint a true picture of the American west. 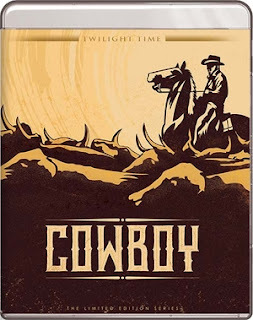 You'll find no gunslingers or saloon brawls here - Daves' film is a examination of the cowboy mythos that upends Western genre stereotypes and instead finds its drama through trials and tribulations of a group of cattle drivers. Glenn Ford is a hardened cattleman, Jack Lemmon is a city boy who longs for the romance of the cowboy life, only to discover that it is nothing like he imagined. What ensues is a battle of wills between two men who begin as adversaries but end as friends, finding common ground in their unique visions of leadership and masculinity. When a heavenly clerical error results in boxer Joe Pendleton being taken from Earth prematurely, he is returned to life in the form of a corrupt millionaire, and given the chance to redeem the crooked sinner and find true love in the form of his old nemesis. 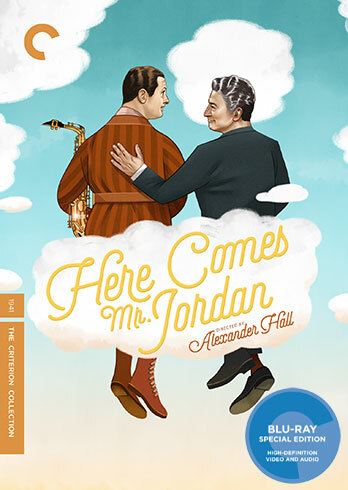 A hugely influential Hollywood comedy (it went on to inspire such films as Heaven Can Wait and Down to Earth), Alexander Hall's Here Comes Mr. Jordan is as delightful and effervescent as they come. 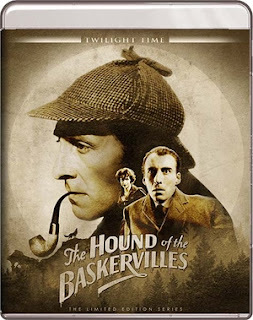 Hammer Horror turned its attention from classic movie monsters to the world's greatest detective in 1959's The Hound of the Baskervilles, which reunited the legendary Peter Cushing and Christopher Lee as Sherlock Holmes and Henry Baskerville, respectively. Hammer was perhaps the perfect studio to capture the gothic nature of what is arguably Sir Arthur Conan Doyle's most famous Holmes mystery. 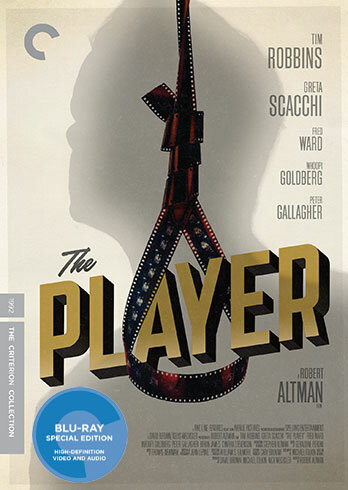 Robert Altman takes on the Hollywood establishment in this merciless satire about a studio exec who becomes embroiled in a scandal after he murders a jilted writer who was threatening him. James Garner is a smooth talking, quick witted gunslinger who arrives in a lawless town just in time for a gold rush, signs up to be sheriff, and sets about cleaning up the streets in this nimble western send-up. 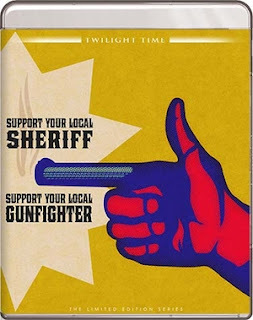 The plot of Support Your Local Sheriff is a mirror of High Noon, as Garner arrests a member of a local family, who decide to rustle up a posse to ride into town to rescue him. But instead of a meditation on masculinity, we get a a laid back, lackadaisical comedy imbued with an effortless charm by Garner, and director Burt Kennedy's sharp sense of comedic timing. 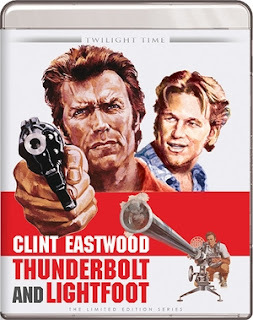 Michael Cimino made his directorial debut under the watchful eye of Clint Eastwood in 1974's Thunderbolt & Lightfoot, a combination road movie/heist caper about a grizzled criminal on the run (played with steely resolve by Eastwood) and a young upstart drifter (an Oscar nominated Jeff Bridges). With two jilted former partners hot on their tail, the two set out to find an old stash old gold hidden in the desert, setting them off on a journey that will bond the two men in ways they never expected. After a man witnesses a mob hit, he goes on the run to save his own life, and is pursued by police in hopes of using him as a witness. Unable to track him down, the police turn to his estranged wife (Ann Sheridan), who wants nothing to do with him. She is eventually convinced by a reporter to help track the man down. 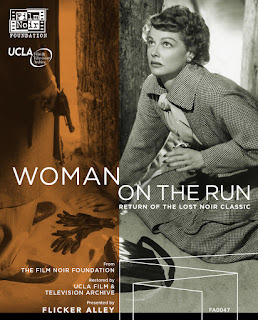 Followed by both the police and the mob, both searching for her husband, she soon finds herself in an underworld of lies and murder that threatens not only her husband's life, but her's as well. 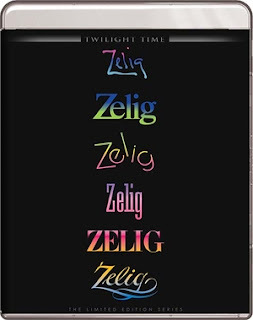 Woody Allen faithfully recreated newsreel style documentaries in this faux-examination of a man named Leonard Zelig, a human chameleon who was so eager to please that he literally became like whoever he is around. If he's around a black man, he turns black. If he's around a fat man, he turns fat. If he's around a doctor, suddenly he's a doctor, too. Of course, these changes don't always work out for him, and an intrepid doctor sets out to cure him at all costs.